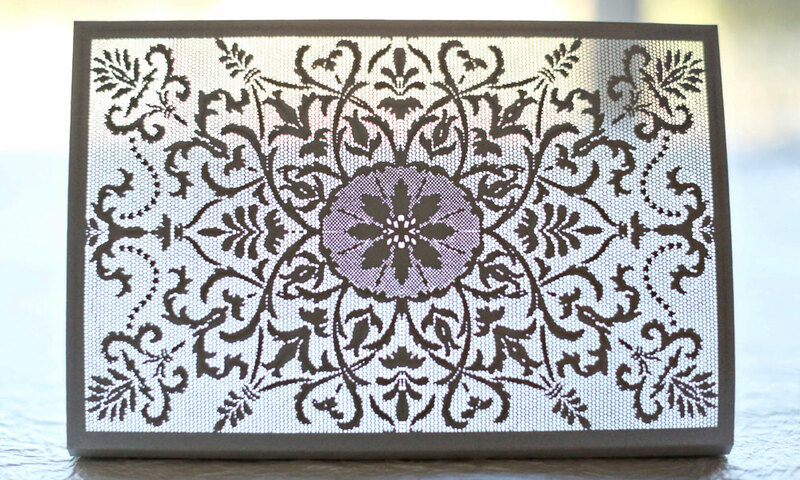 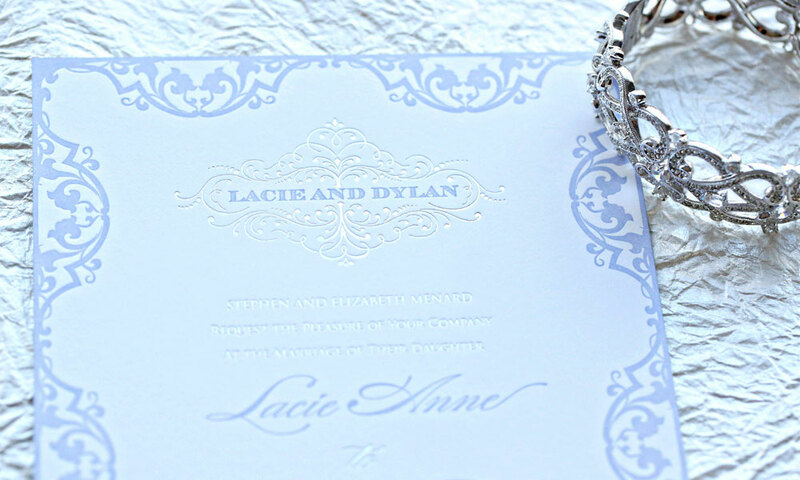 A custom laser-cut design, perfect lilacs, shiny silvers and lace all ooze romantic sophistication. 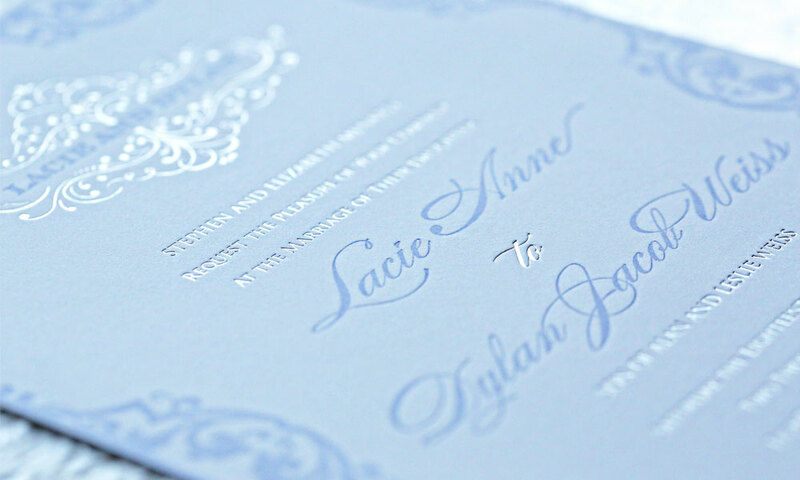 A lilac bellyband foil stamped with the bride and groom’s vintage monogram holds the pieces of this ethereal wedding invitation suite together. 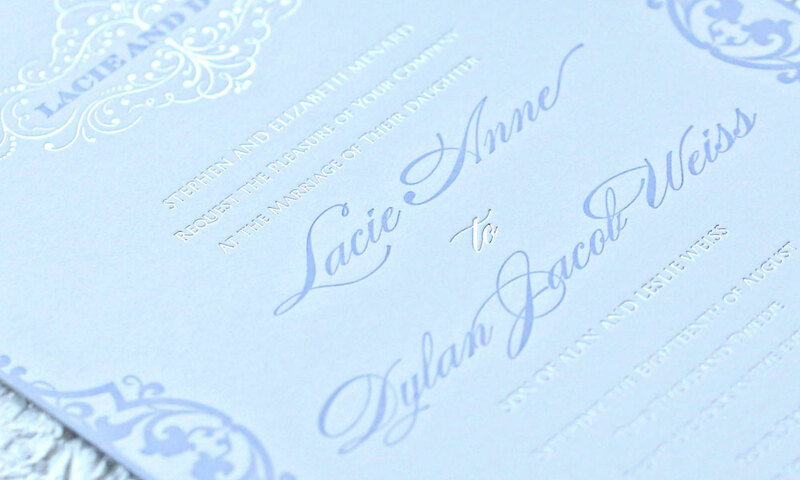 The calligraphy-style script pairs with stunningly detailed lace to create a couture, lavish design that inspires both romance and elegance. 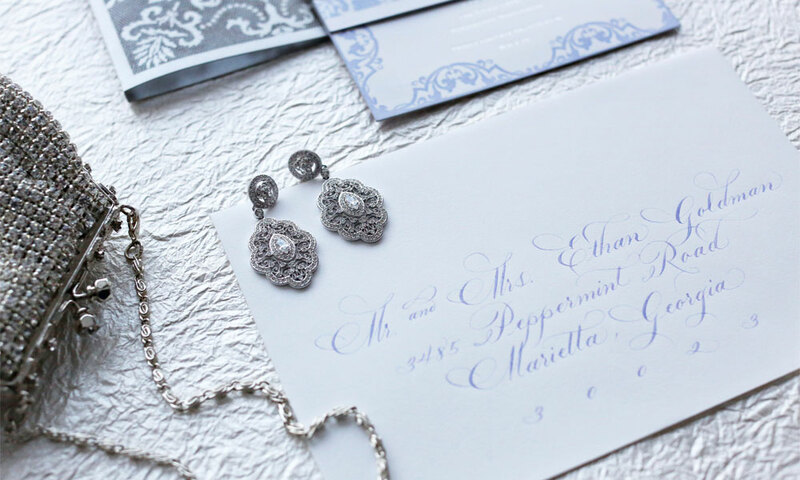 Playing off the bride and groom’s event palette, metallic silver foiling combines with purple letterpress on beautiful premium, thick cotton paper along with silver edge painting. 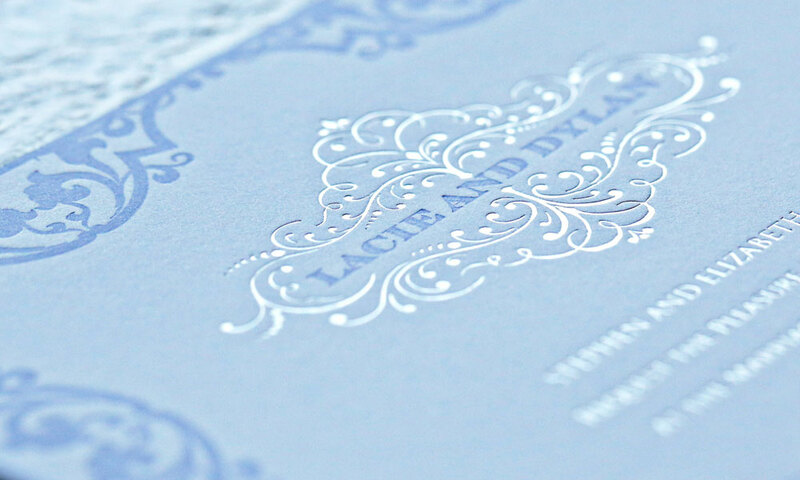 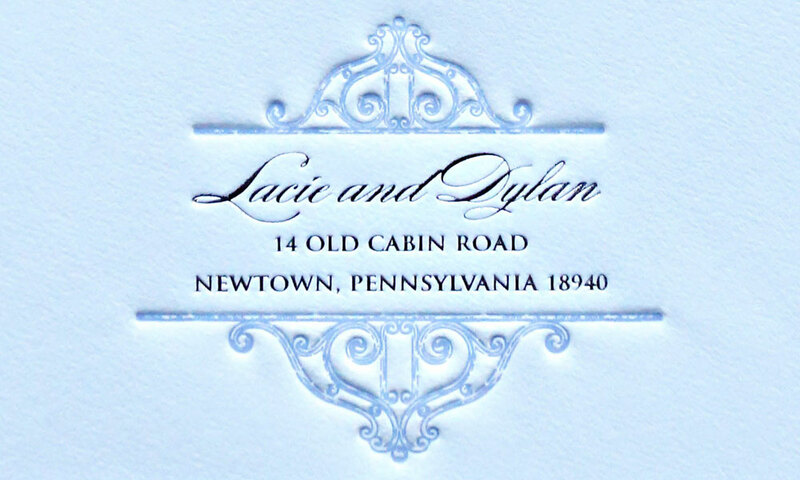 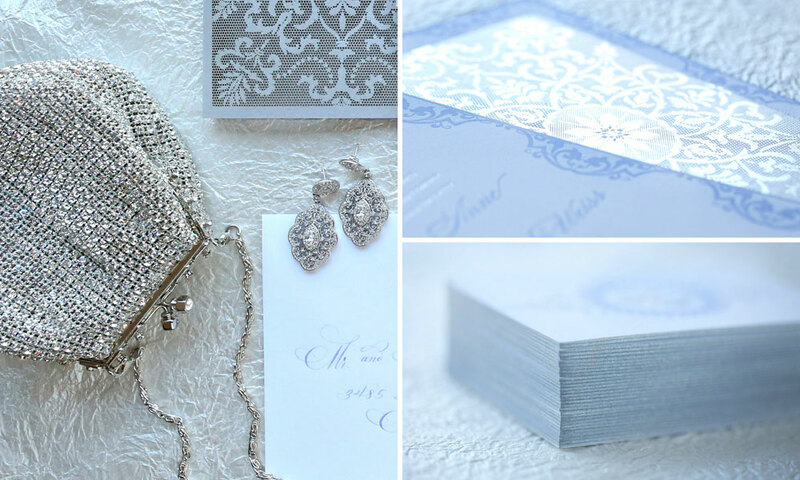 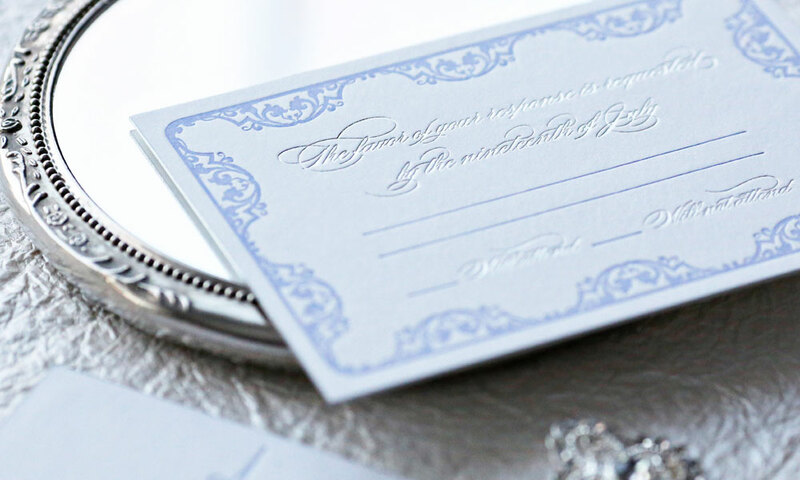 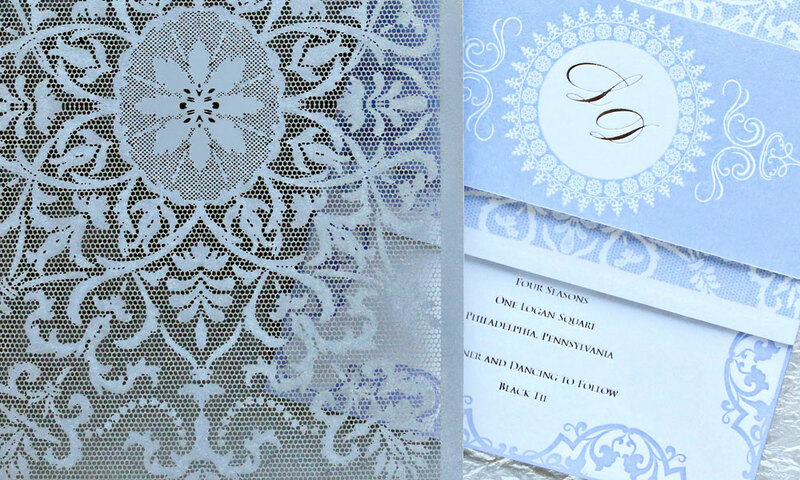 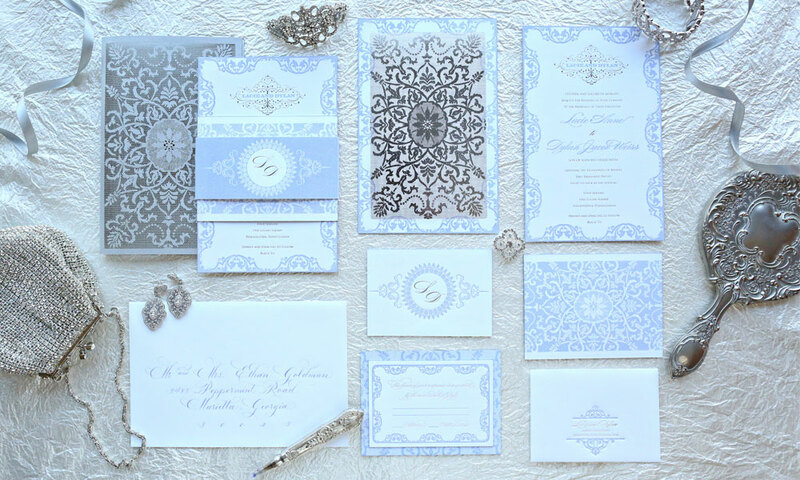 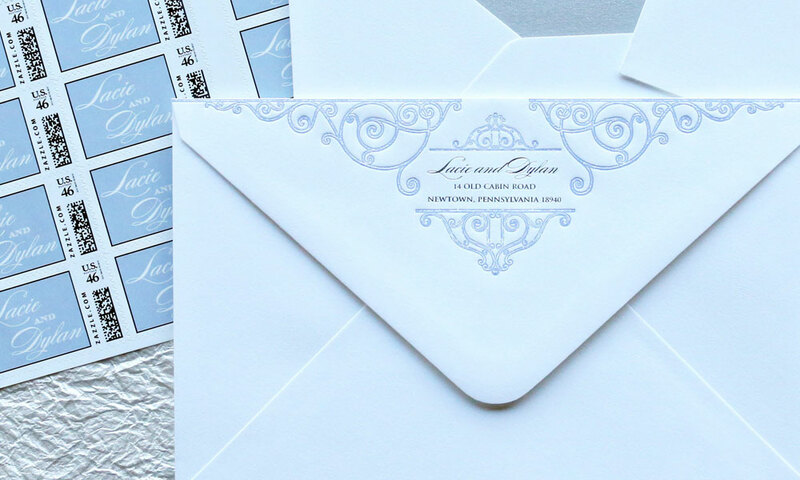 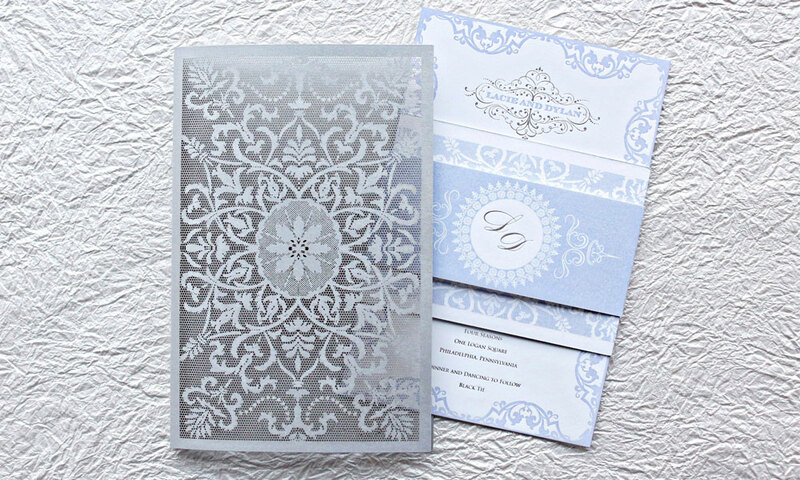 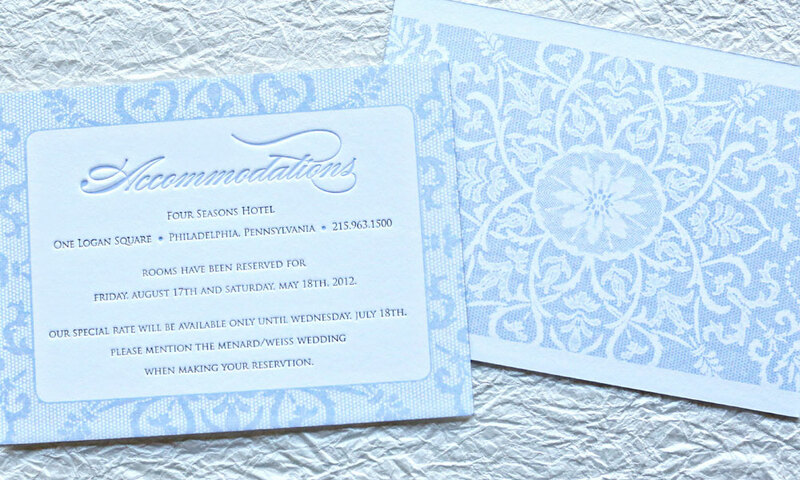 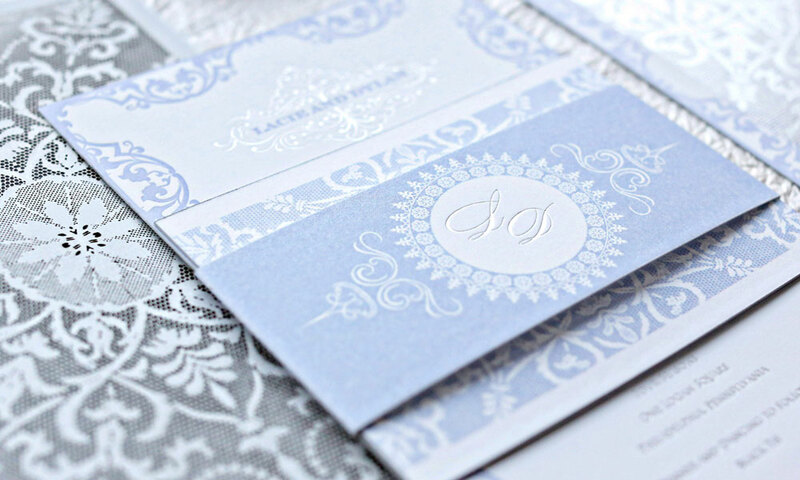 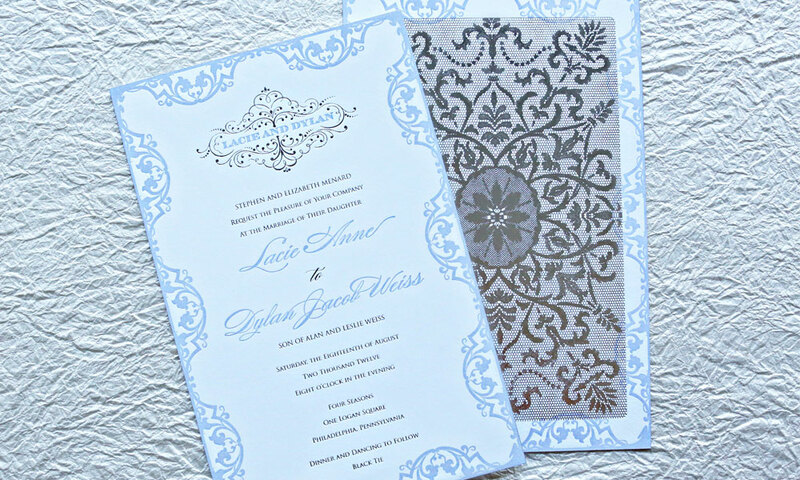 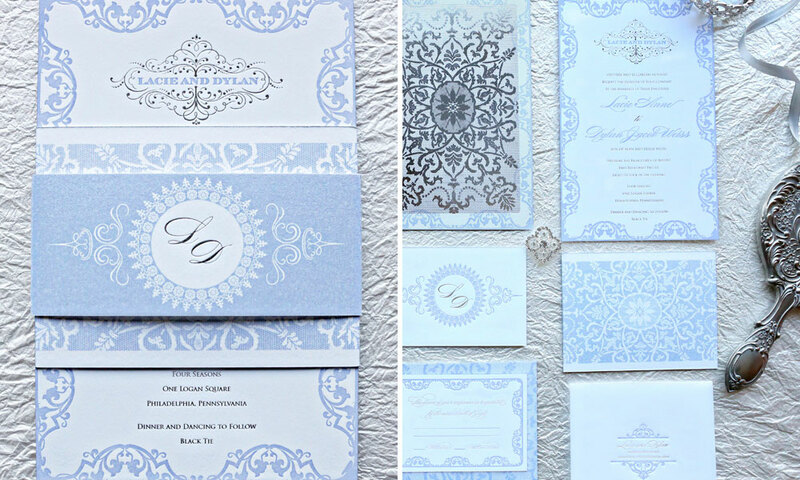 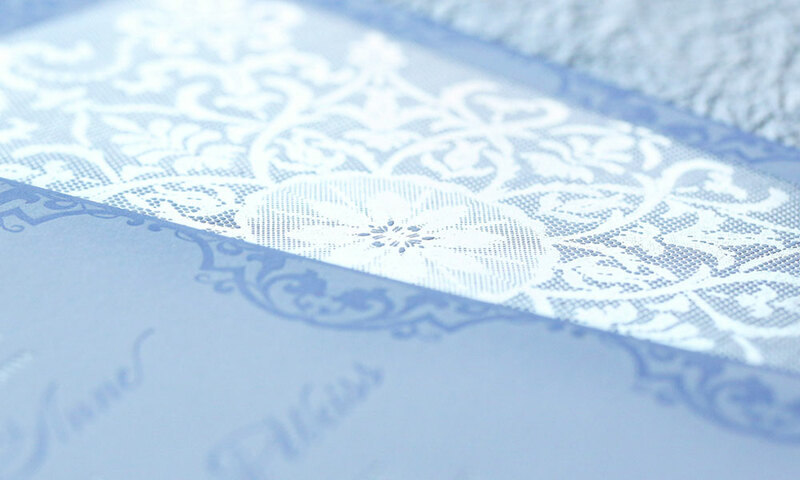 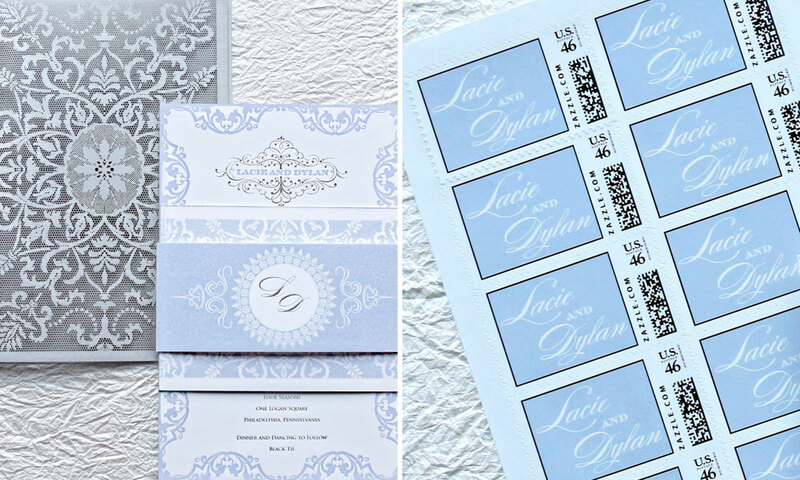 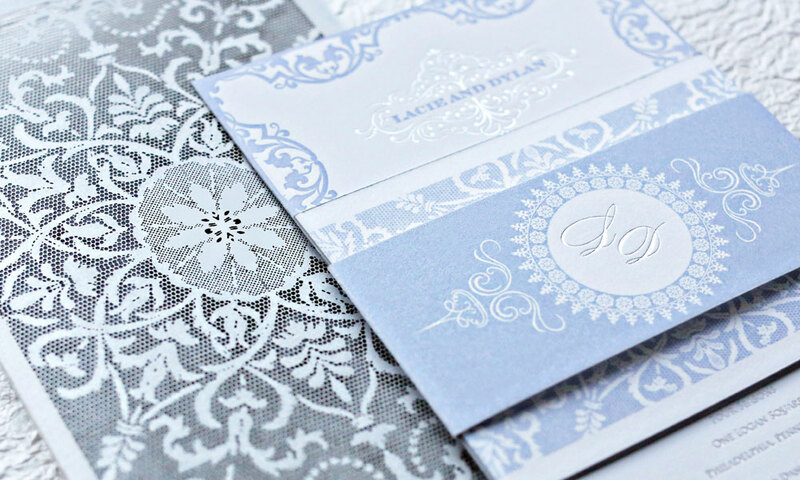 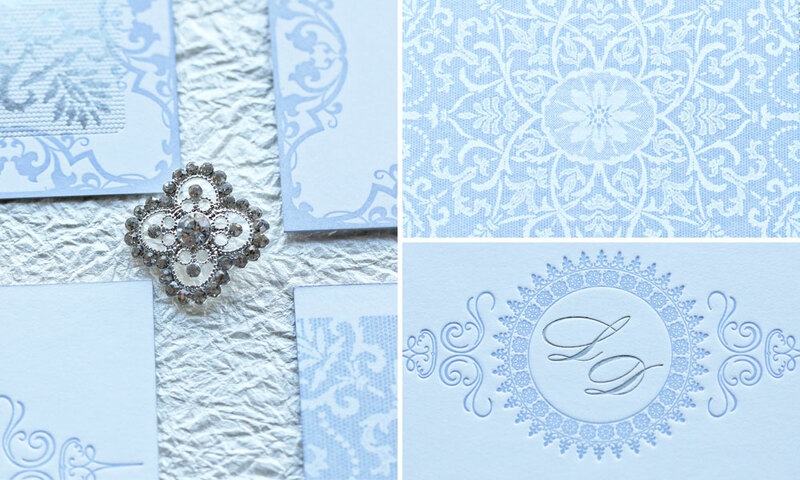 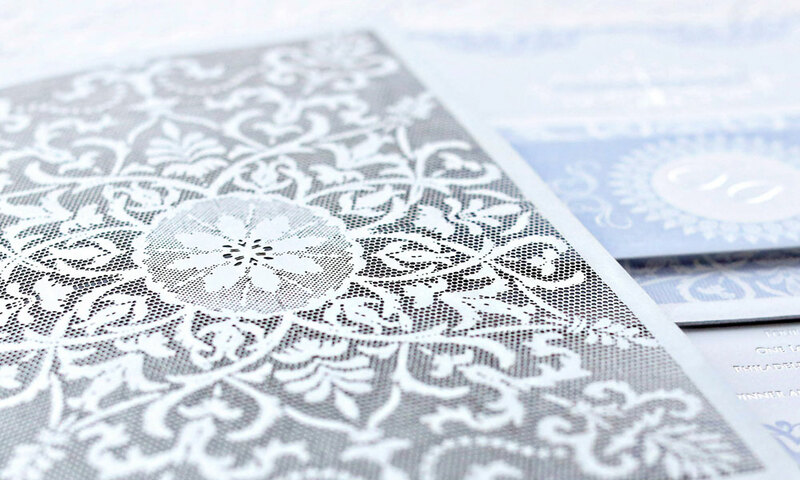 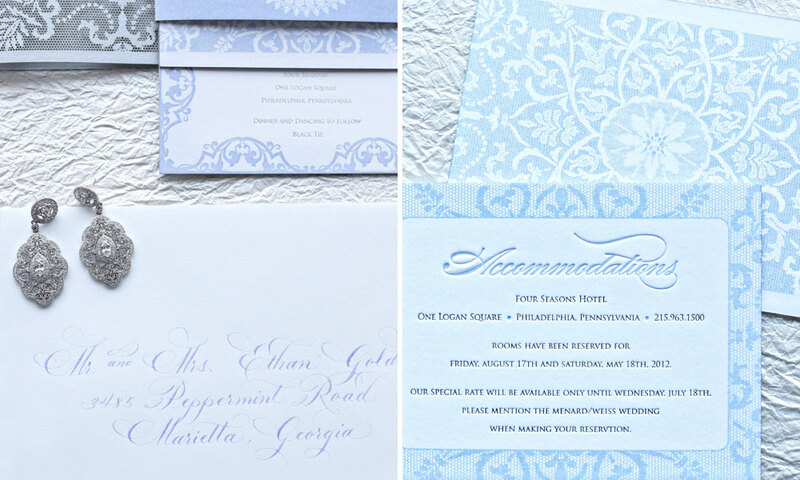 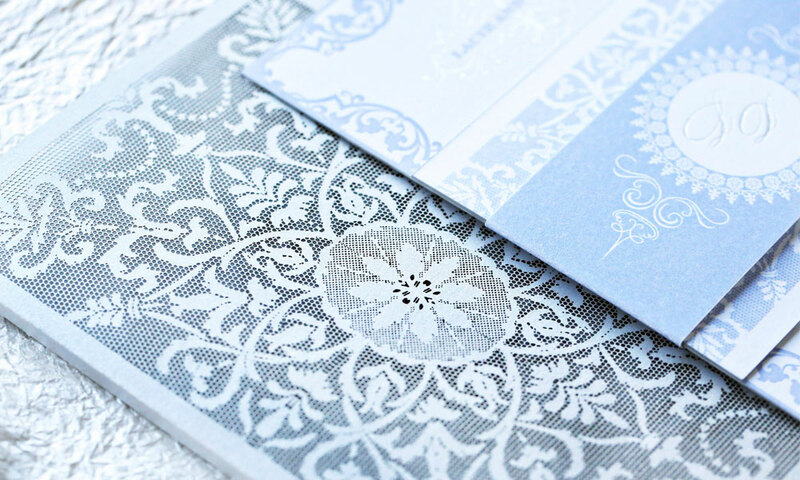 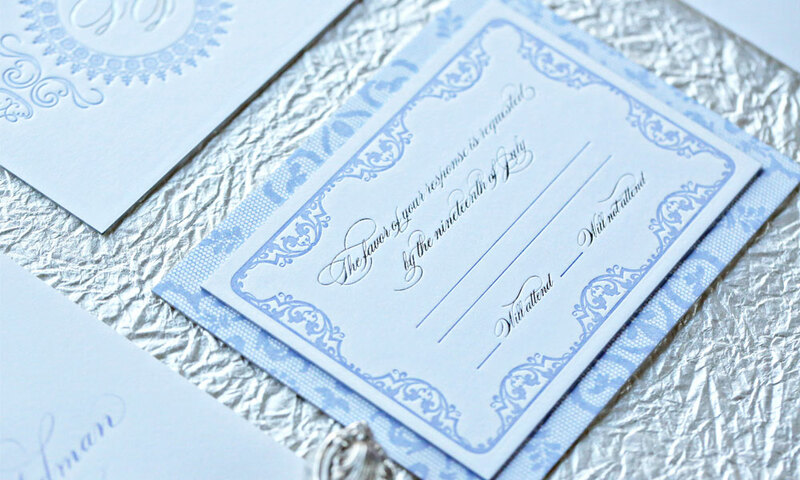 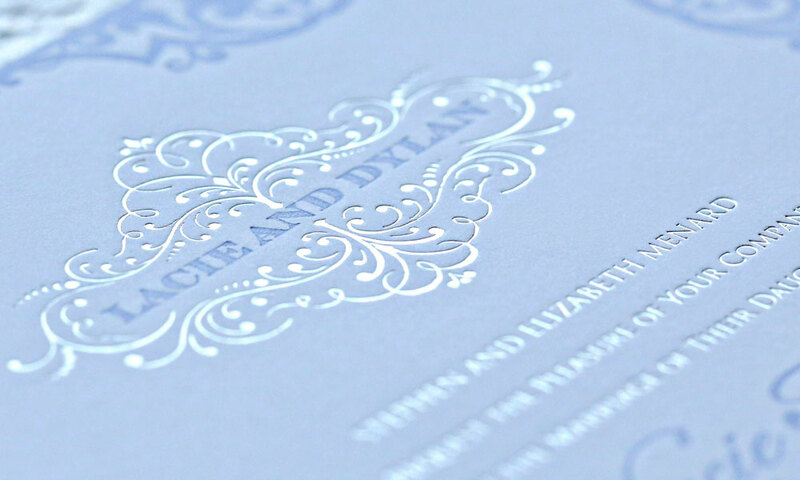 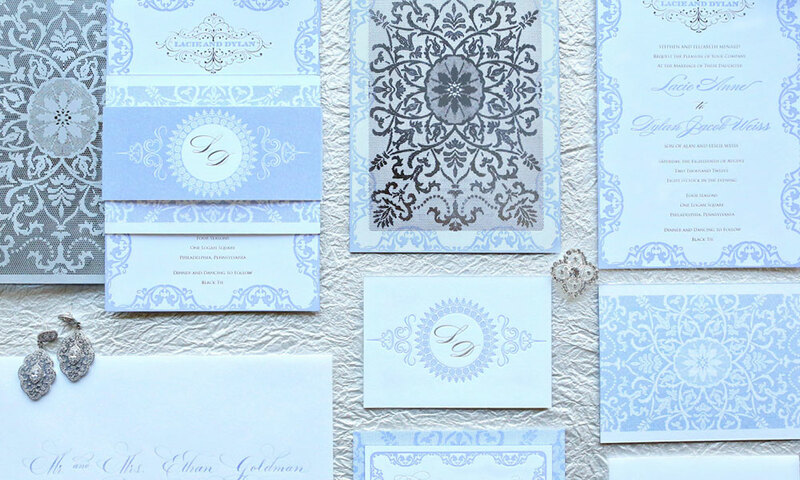 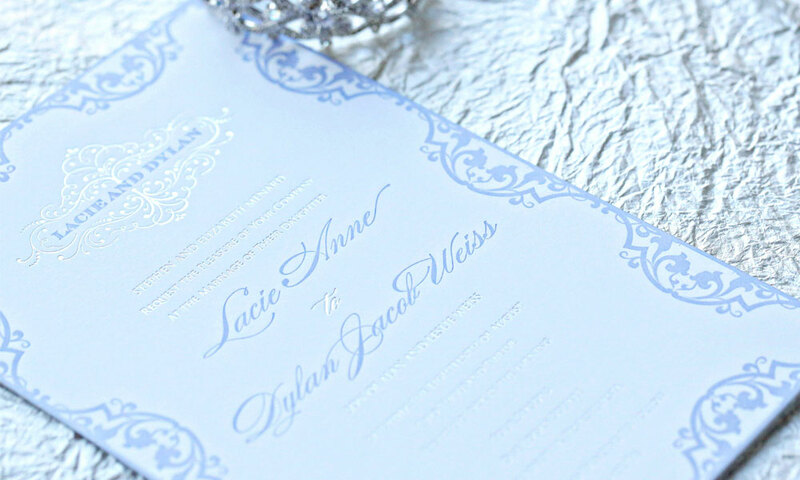 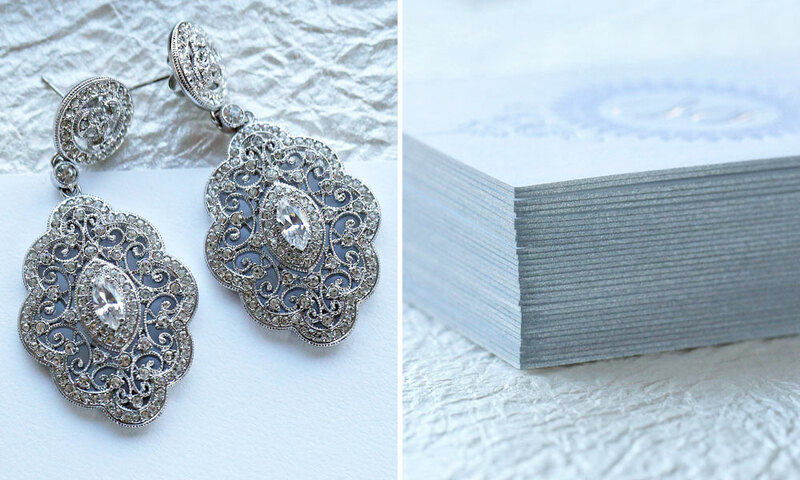 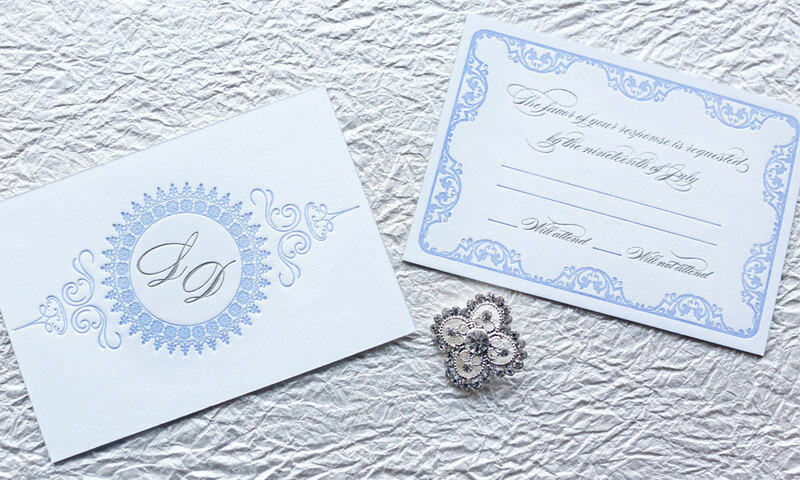 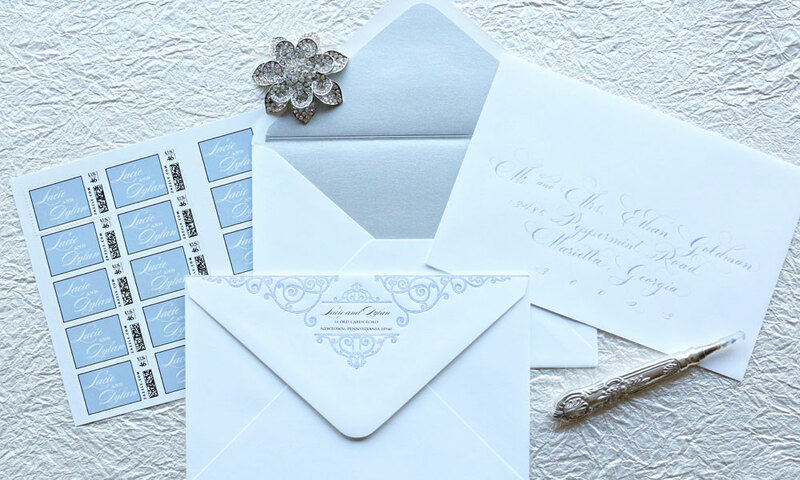 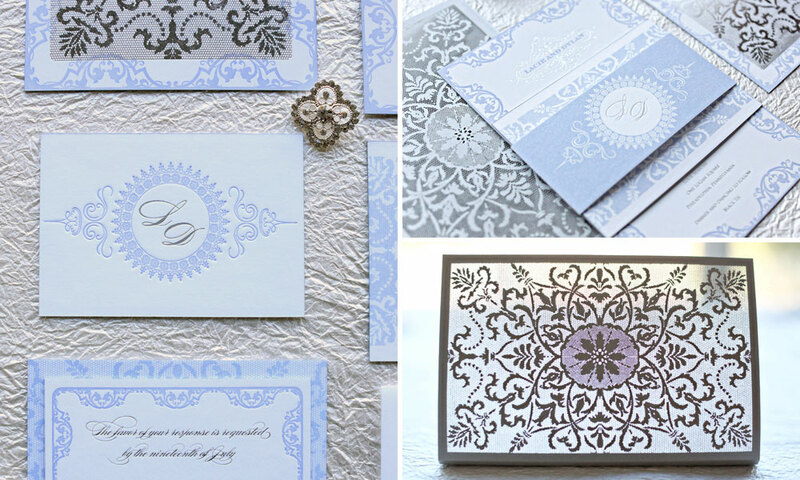 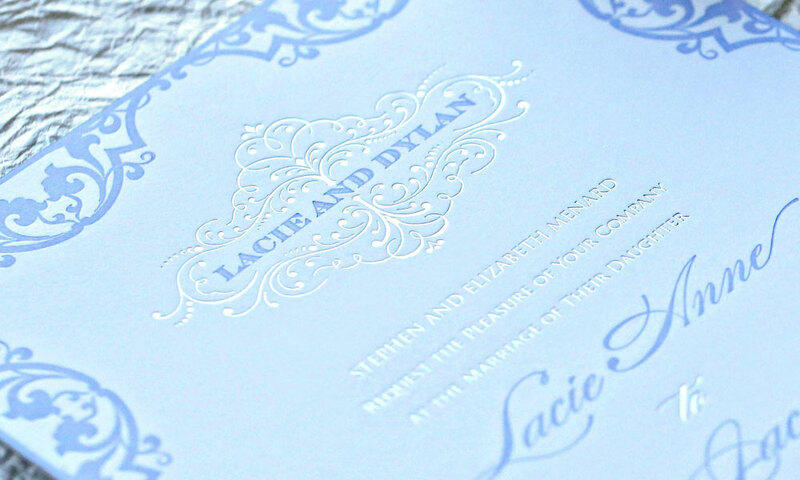 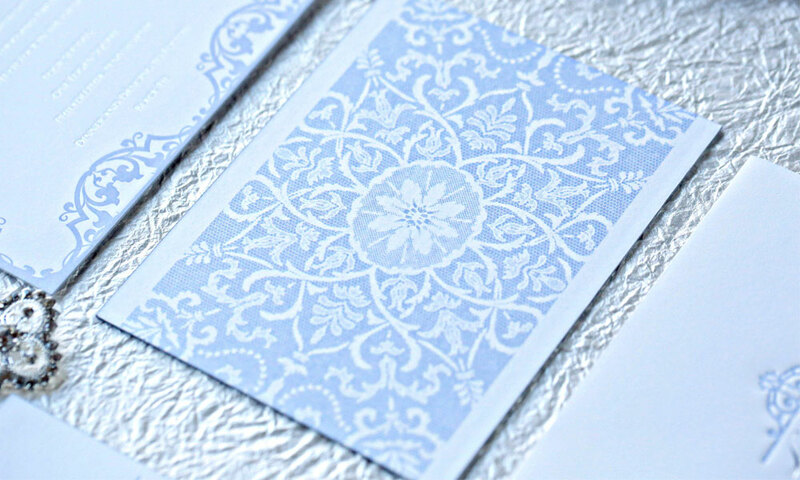 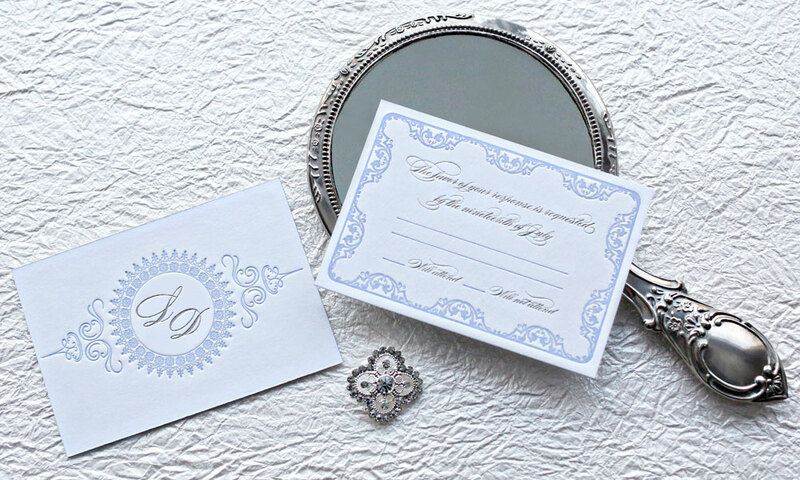 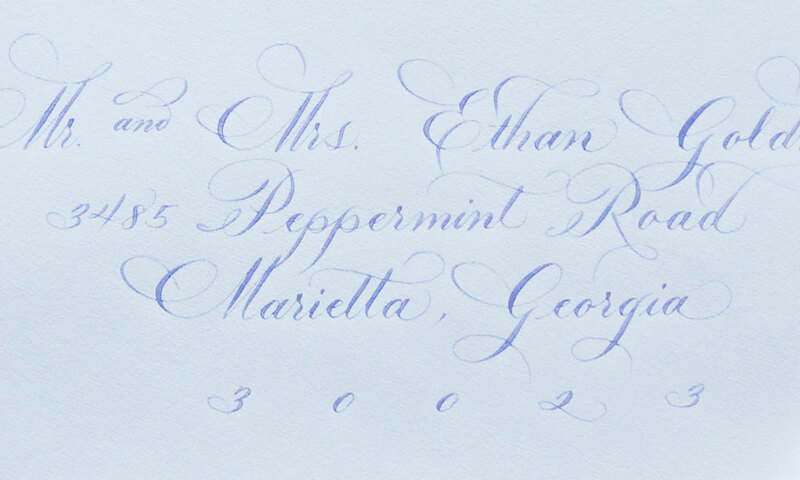 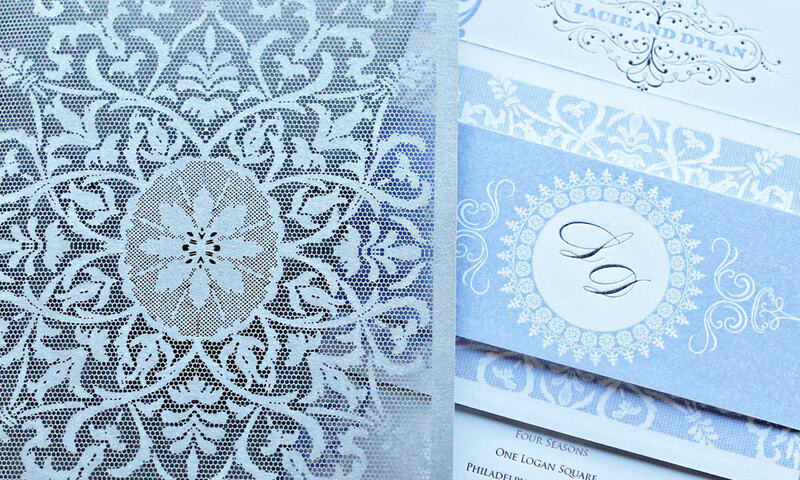 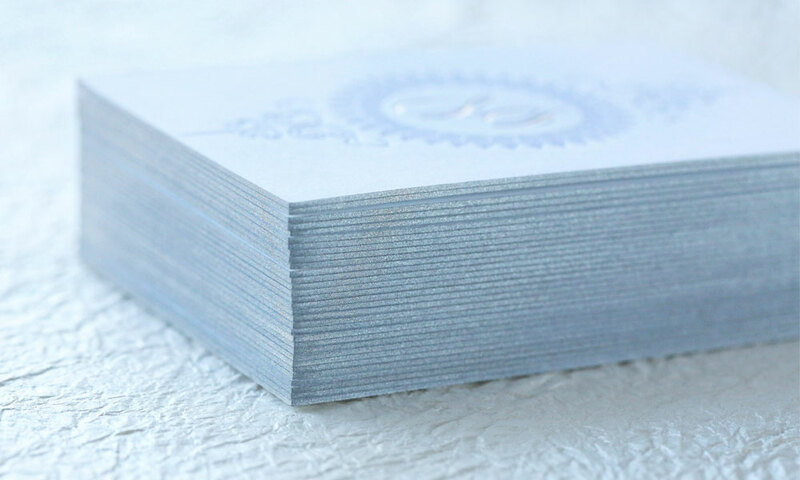 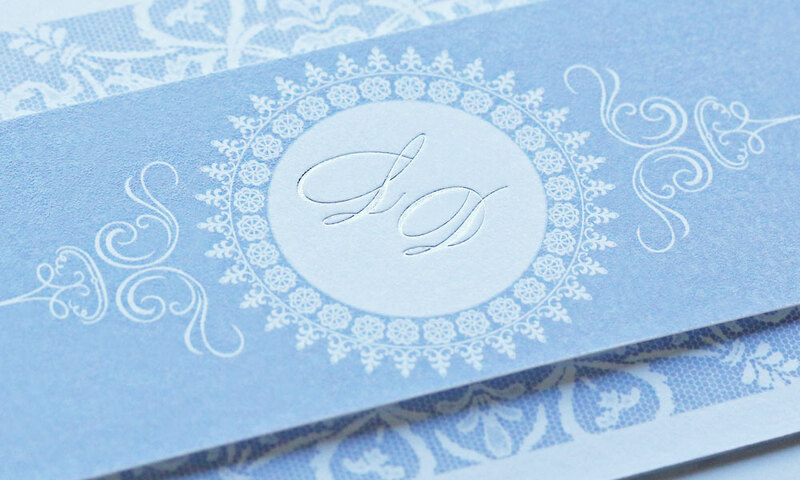 The wedding invitation suite was mailed in a white cotton envelope with a silver liner, an intricate return address design, a custom monogram stamp, flourished handwritten calligraphy and a magnificent custom lace silver laser-cut sleeve that creates a lasting impression. 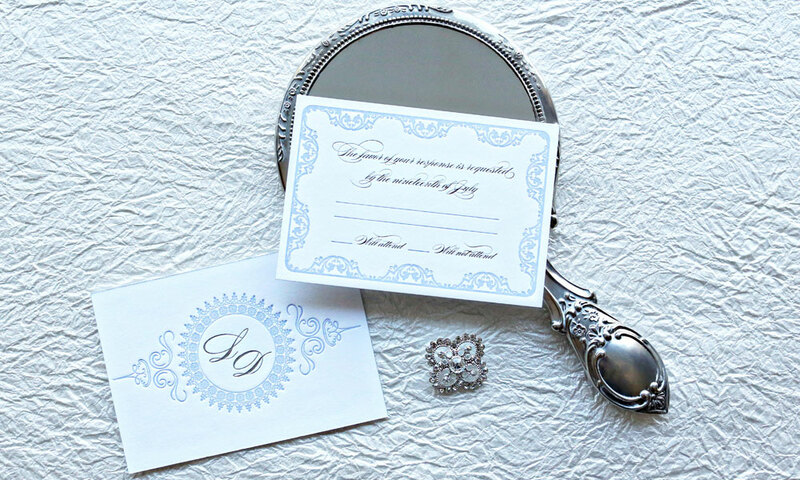 All day-of stationery items carried the look into their wedding day.